Evil Leader & his Dreadful Dragon with Paralyzing Spray! 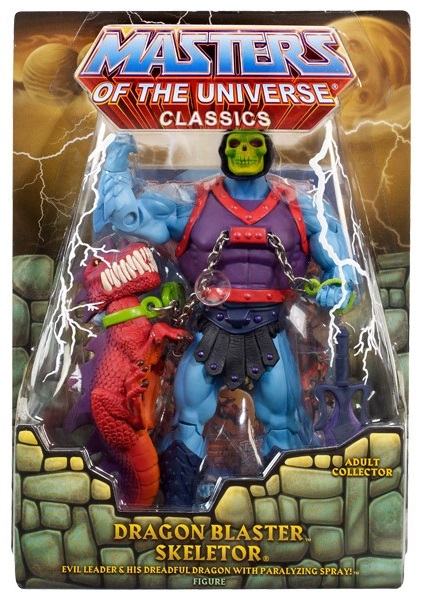 As the ruler of Eternia following Randor’s banishment, Skeletor created a new magical armor infused with an Eternian Dragon, giving him the power to paralyze his enemies at first glance. 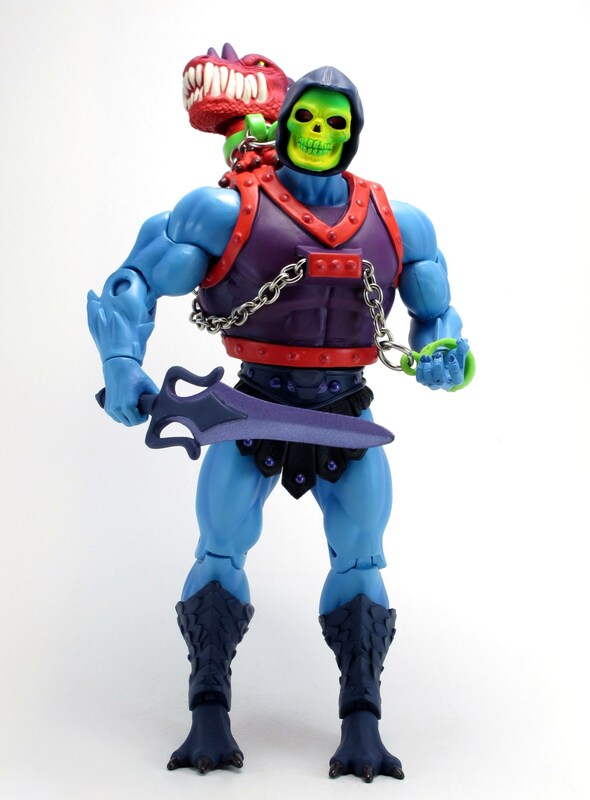 His rule was cut short, however, when Skeletor’s former master Hordak returned from Despondos with the help of Evil-Lyn. 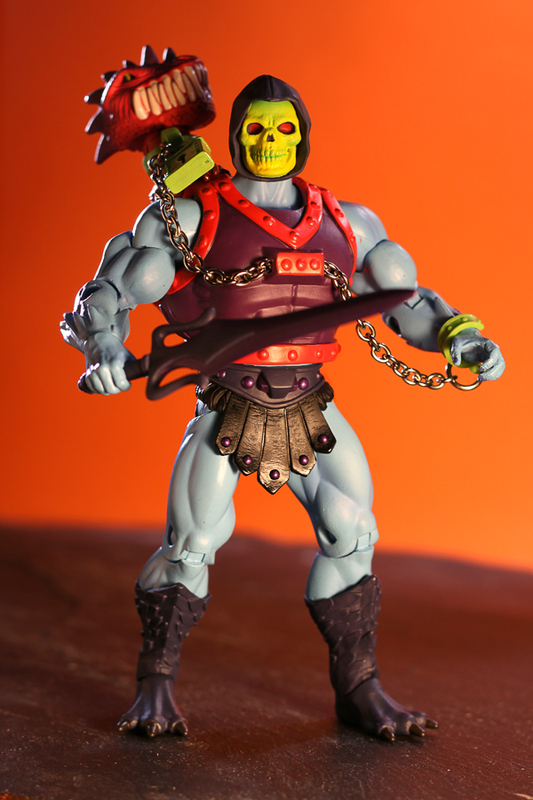 Hordak not only overthrew Skeletor, but drove the Snake Men into hibernation. 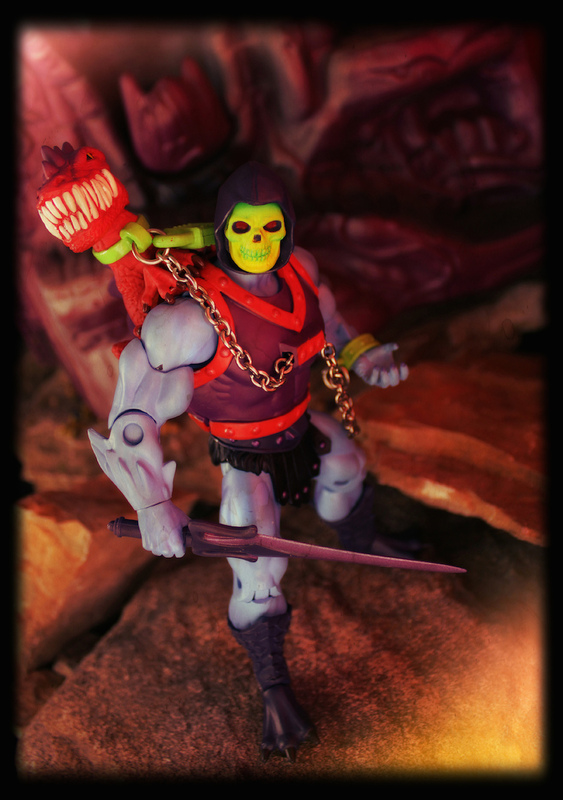 Forced into a war on multiple fronts, Skeletor continued to lead his Evil Warriors into battle, often having to fight side-by-side with his former enemies – the now renegade Masters of the Universe. 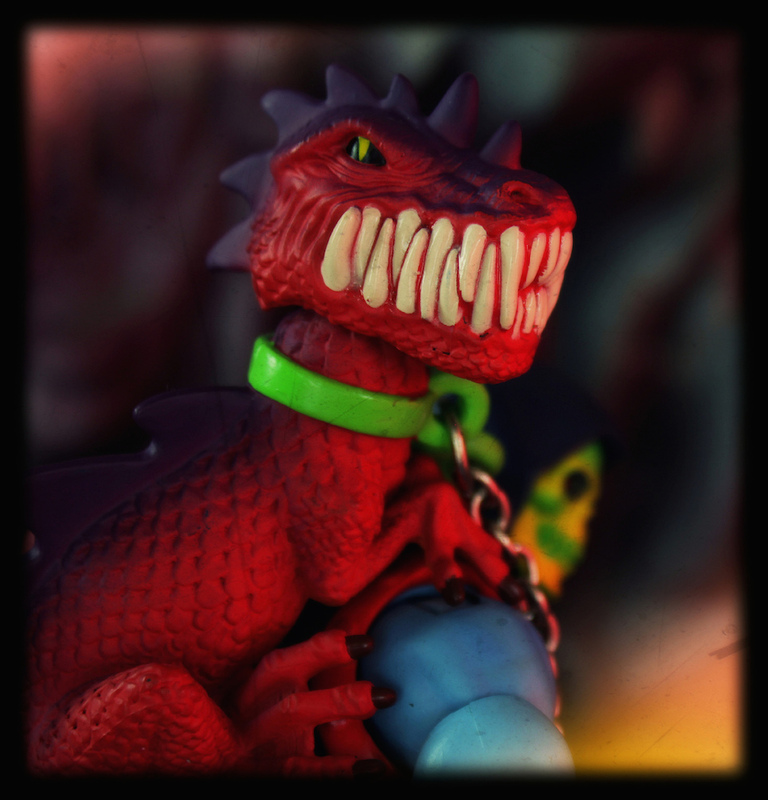 Perched on his master’s armor, the Evil Dragon “pet” of Skeletor stops his enemies cold with his paralyzing jet spray of venom.